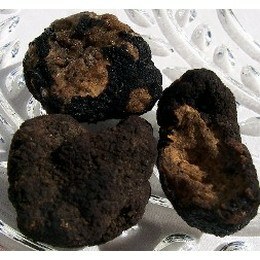 These truffles are sold in 3 oz. increments. 15 oz frozen oregon black truffles. These frozen black truffles taste and smell amazing. I never imagined that frozen truffles could taste and smell this glorious. Great price, great service, will definitely be ordering again.